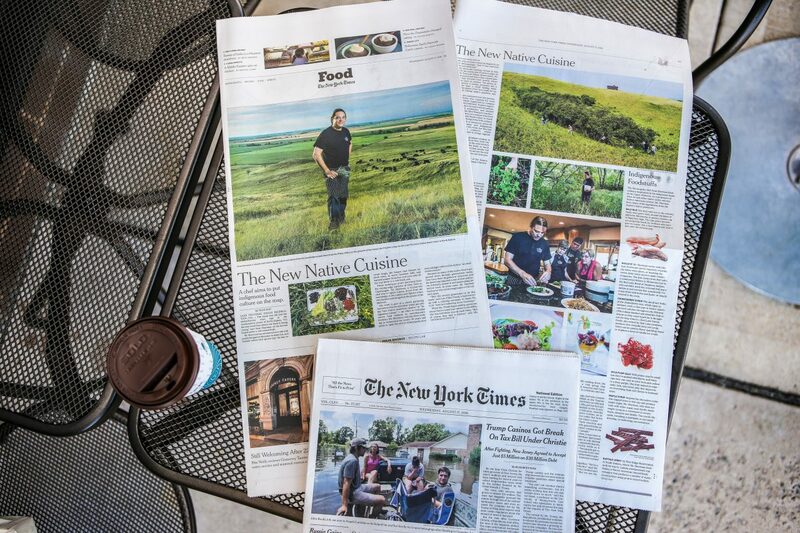 It’s not everyday you find a two-time James Beard Award winning food writer investigating a story in rural North Dakota. More unlikely yet would it be that she goes on to write an article about her experience and its featured on the front of the Food section in The New York Times! 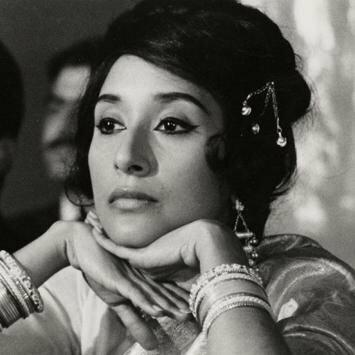 Tejal Rao’s Twitter profile picture. Hint: its not really her. Meet Tejal Rao. A rising star in the world of food. A young lady with a more diverse food life experience than the combined experience of all the residents of Sargent County. She has traveled to the corners of the globe in search of internationally newsworthy foods. Her latest food pilgrimage brought her to Coteau des Prairies Lodge. 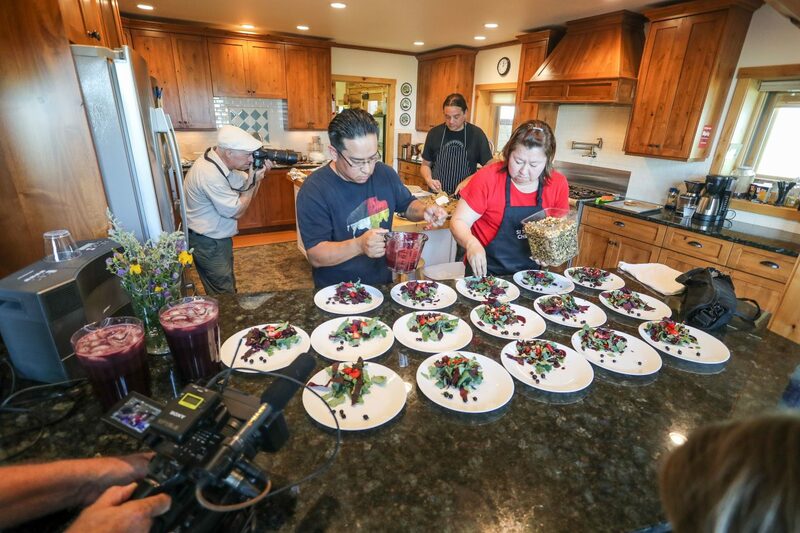 On her recent trip to North Dakota, she came with the purpose of learning as much as she could about the revival of Native American and indigenous foods. She had been following Chef Sean Sherman of The Sioux Chef for some time already. His Indigenous Foods Retreat in July at the lodge was the perfect opportunity for her to spend some time with him. The New York Times dispatched a local photographer from Fargo to shoot the event and capture images for the article. Dan Koeck works full time for NDSU and has produced great photography for them for many years. It was fun to have him down at the lodge as well. We were pleasantly surprised that Tejal mentioned the lodge in the article. Also, some of the photos feature our kitchen and the area surrounding the lodge. We love the main photo of Sean highlighting the scenic view from the lodge with the Breker cattle in the background. That view is why the lodge is here! We are thrilled to have this kind of exposure, but it is our dedicated staff and everyday guests who make the Coteau des Prairies Lodge experience #NDLegendary. We are humbled by the support and kind words we regularly receive from our dear guests. Thank you! UPDATE 9/1/16: Since the New York Times article came out, the story was picked up by The Seattle Times HERE and also The Star Tribune HERE. Very interesting article! Congratulations on a successful retreat and on being mentioned in the New York Times! !